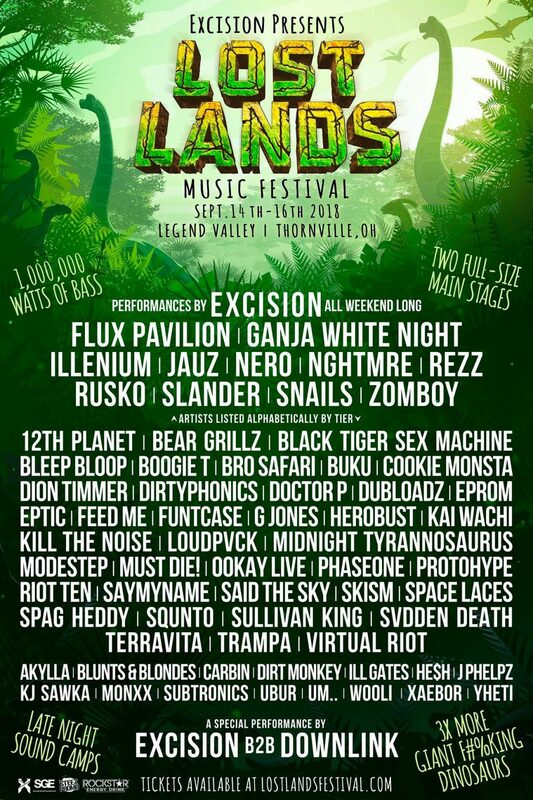 Excision has come out to announce the 2018 Lost Lands Music Festival line up. The event will feature “1,00,000 Watts of Bass”, two full-sized main stages, Performances by EXCISION all weekend long including a b2b with Downlink and a ton of “giant f#%king dinosaurs”. The weekend will go from September 14th through the 16th with Hotel, Shuttles and Camping options available.